Pioneers in the industry, we offer chemical reactors and industrial pressure vessels from India. Backed by a team of creative and skilled professionals, we are gainfully engaged in offering Chemical Reactors that use several coils to deliver the heat transfer fluid. Our offered range of reactor is developed using the top grade material and modern technology in adherence with the set standard of industry. 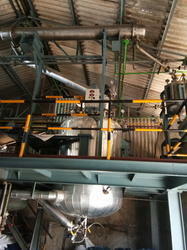 Additionally, offered reactor is completely tested by quality controllers to dispatch a flawless range to customer’s end. 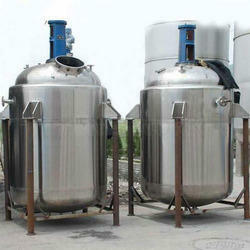 We are manufacturer and exporter of Industrial Pressure Vessels. Manufactured by our professionals in our advanced fabrication unit, our products are checked by our quality controllers on various parameters. We provide this range to our esteemed clients in various customized options as per their specific requirements. Clients can avail the offered range at reasonable prices.